A good way to start trying to find the best deals for ink and toner in Ireland is to go online and search for the toner ink cartridges that your printer uses. This will give you a number of choices of suppliers based in the UK and Ireland. These supplies are now readily available online in Ireland with many suppliers offering next day delivery on printer toner to all major towns and cities in Ireland. Small and medium size businesses prefer to use laser toner printers citing their speed and cost effectiveness as the biggest advantage over inkjet cartridge printers. It’s likely that the suppliers based in the UK may take a longer to deliver your toner ink that you would like so it would be advisable to order from an Irish supplier who should be able to deliver next day by courier. From the many sellers of Ireland, the key is picking the one who has best prices, best service and fastest delivery. You can start by judging the feel of the home page on the website you are thinking of buying from, does it look secure? Does it look professional with clearly identifiable contact telephone numbers? A quick check can be made to see if they are on facebook and if there are any positive comments by previous customers. This will give you an indication of their customer service levels. Toner ink can be an expensive addition at the end of the financial year for many businesses so making a switch to compatible ink and toner is making sense for a growing number of companies. Printer ink ireland specialize in providing the best quality ink and toner at the best possible prices to businesses and home users. Compatible ink toner has had a bad press in recent years with many poor quality toners coming out of China and not surprisingly putting many people off buying compatible products again. These days, however, the compatible toner ink is consistently manufactured in Europe to the same high ISO standard as the original brand toner. There is an estimated failure rate of less than 1% among compatible toners in circulation at the moment and that is good news for all those making the switch. So as standards continue to be high in the manufacturing of compatible ink and toner, more and more businesses will see it as a viable way to reduce their print bills at the end of the year. A few of the Irish online suppliers will offer good incentives such as free ink cartridges to customers as a reward for their loyalty when buying a large quantity of ink toner. This added value is also to be considered as it may cut the cost of the bill for printing even further. Any business still not checking the prices of compatible toner ink online needs to take a fresh approach to online shopping and make it part of their mantra each time they are about to place an order. 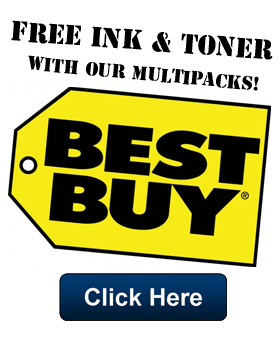 To quickly find cheap toner and ink, search online. There are many suppliers that offer online purchasing and free or cheap home delivery of their products.